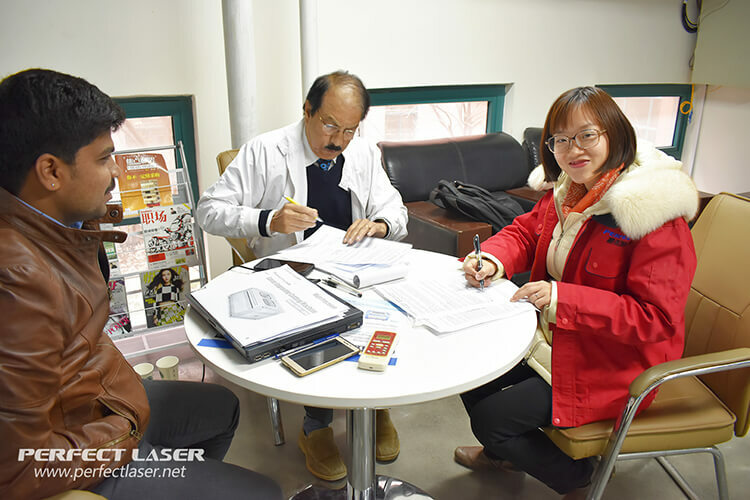 Congratulate the Successful Signing with Indian Customers! 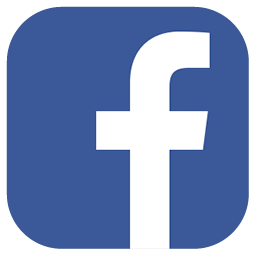 Home > News > Congratulate the Successful Signing with Indian Customers! 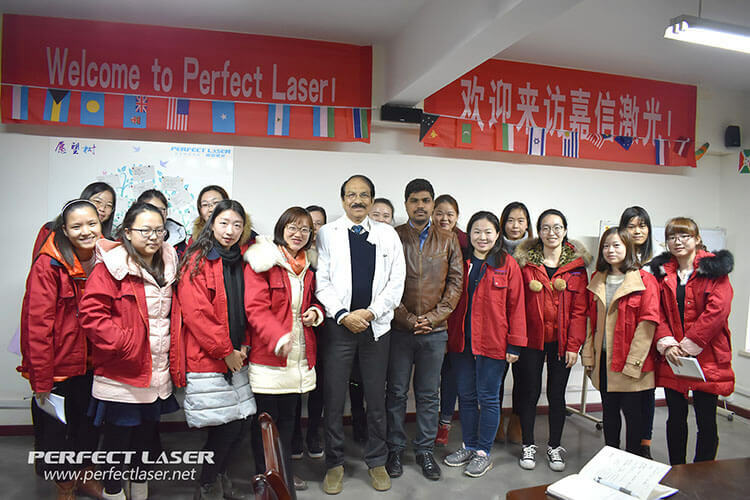 With the increasing popularity of Perfect Laser in foreign countries, the majority of domestic and foreign customers expect the degree of continuous improvement, customer visits continued to heat up, hi news frequently. 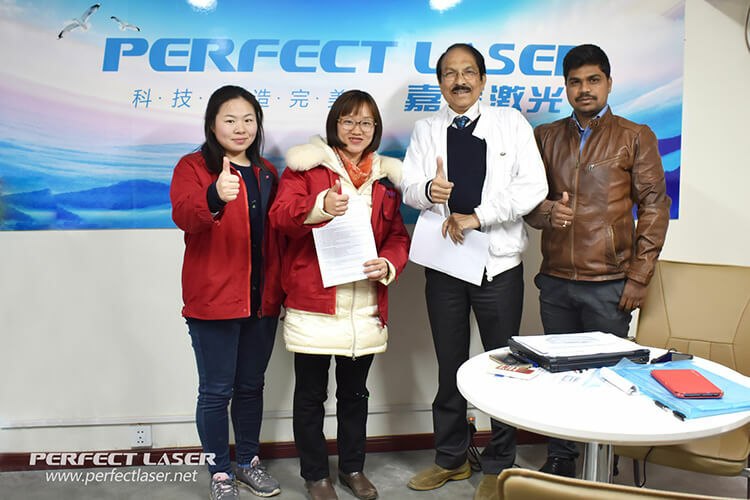 March 14, 2017, the company ushered in two important guests, India's leading laser equipment company CEO and his senior engineer. They are my company independent research and development production of fiber laser marking machine, fiber laser metal cutting machine, laser engraving machine and other models are very interested. 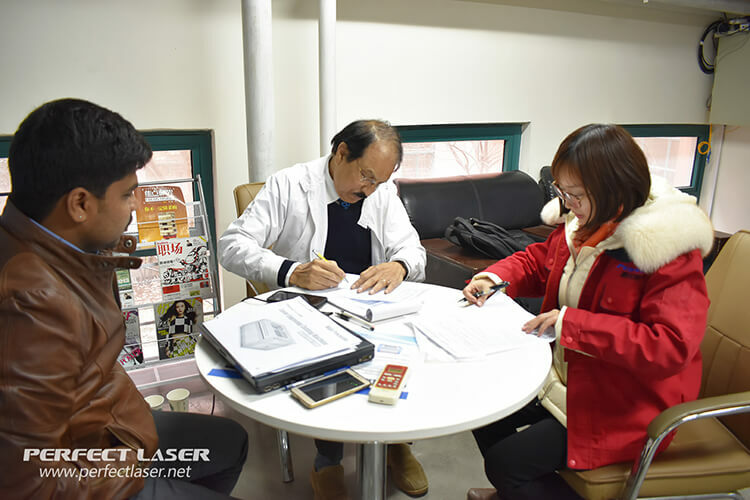 Since 2005, the customer had worked with my company, 10 years has been closely concerned about Perfect Laser, the visit is to deepen our cooperation. 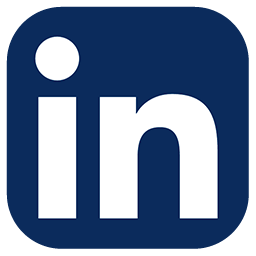 The customer visited the company, accompanied by the company's foreign trade manager and senior salesman, Susie. During the visit, the customer is very satisfied with the production level and product quality of our company, and praised the company's research and development level. Our Perfect Laser product quality, technical level and other aspects are given a high degree of praise by them, and my company's production environment, orderly production process, the latest technology products left a deep impression so as to a spot successfully signed fiber laser Marking Machine. And both of us look forward to the future and our more in-depth cooperation. 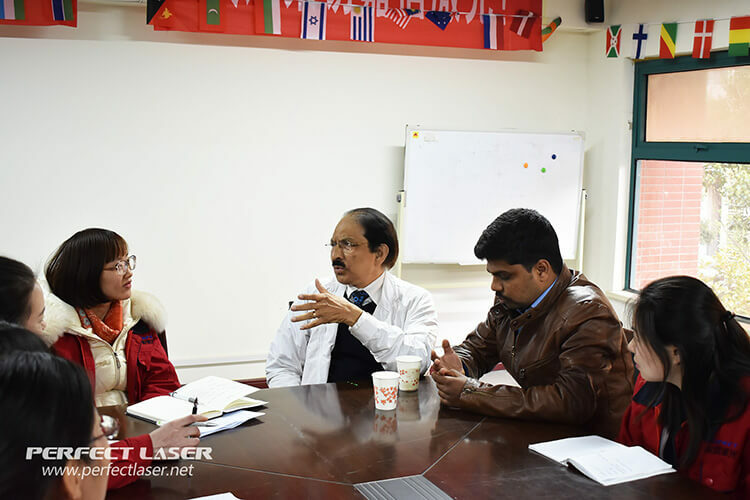 The foreign customers visit, not only to strengthen the exchanges between our company and foreign customers , and also promote solid foundation for the fiber laser marking machine into the Indian market, and Perfect Laser brand international influence gradually increased.